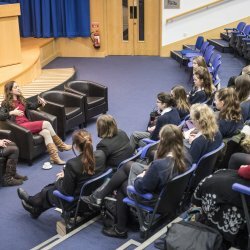 The 3rd Women of the Future Conference took place on Wednesday 29th November 2017. 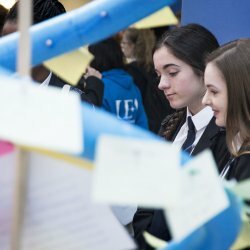 Over 170 young girls from 17 schools across Norfolk and Suffolk attended the unique event. 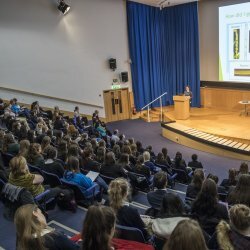 The Women of the Future Conference is an annual event, hosted by the John Innes Centre, designed to inspire the next generation of female STEMM (Science, Technology, Engineering, Maths and Medicine) professionals. 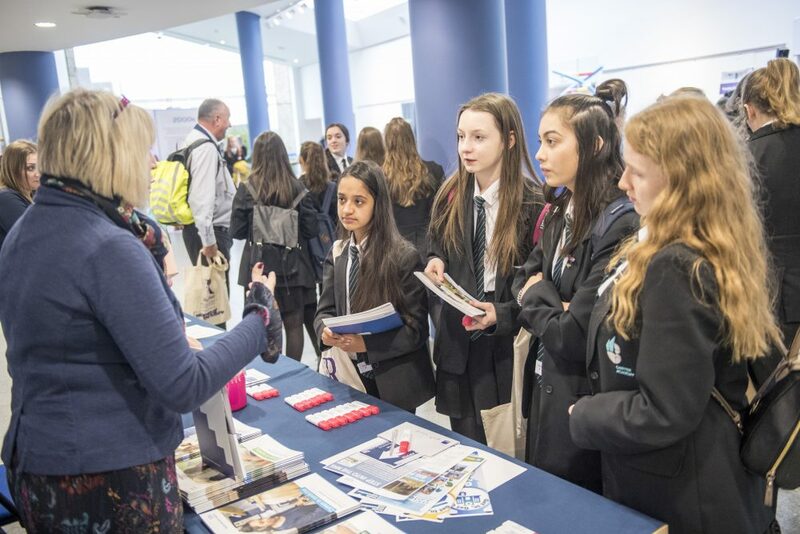 The event is specifically aimed at Year 10 girls, and aims to raise aspirations, broaden horizons and facilitate engagement with world class scientists and leaders and promote careers in STEMM subjects. 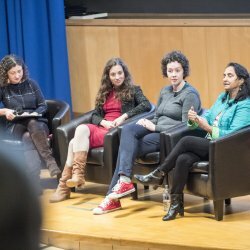 The lack of women in STEMM careers continues to be a real cause for concern for employers. 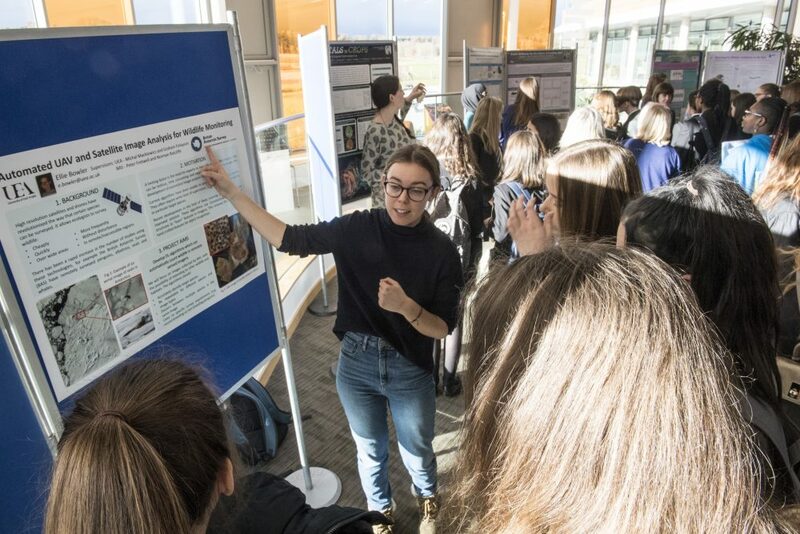 At the John Innes Centre we are committed to promoting equality and diversity for all our staff and students and in addition recognise the importance of inspiring the next generation of female STEMM professionals. 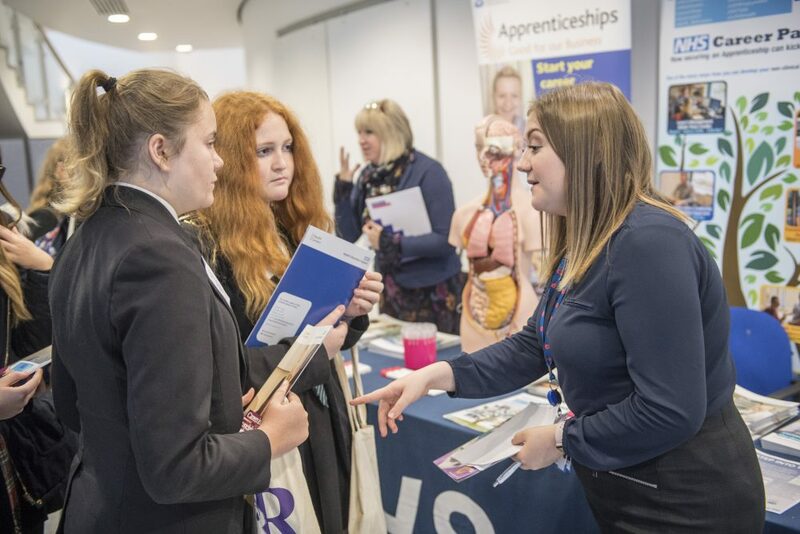 Having first been launched in 2015, this year’s event built on the success of the previous two conferences, giving the participants a great chance to meet and speak with more than 27 female role models and exhibitors from a diverse range of industries. 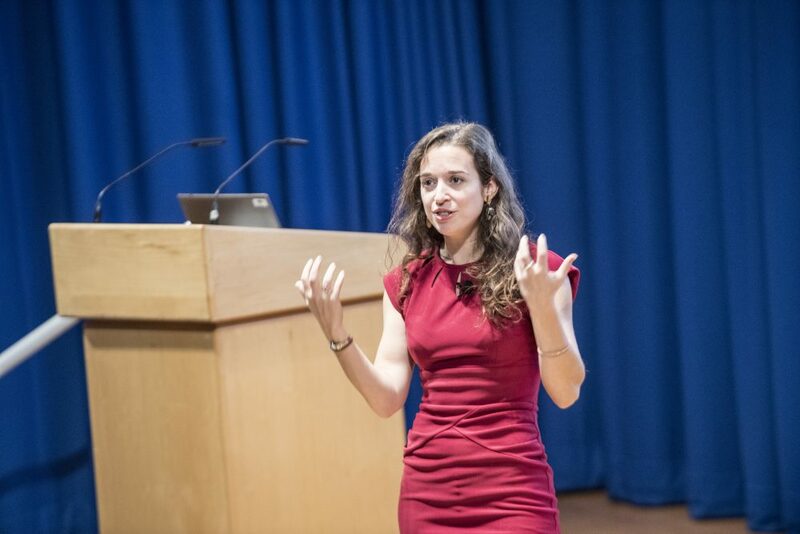 There was also fascinating line-up of speakers that included science author and presenter Dr Emily Grossman, Senior Advisor for Medical Applications at CERN Dr Manjit Dosanjh, and JIC Research Fellow Dr Philippa Borrill. 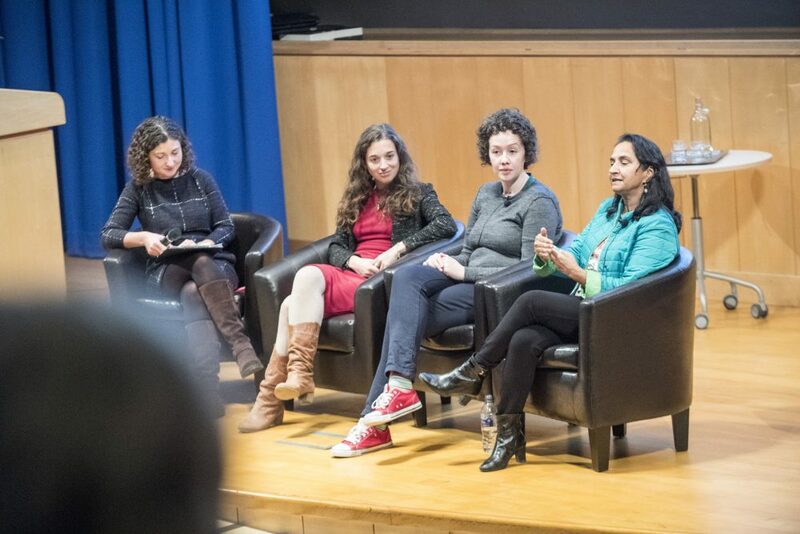 Our day started with three inspirational talks from three very different women who work in science. They explained their job role, background and interest in science. 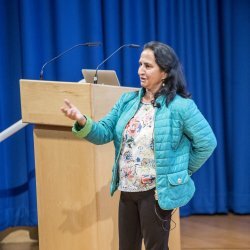 Dr Philippa Borrill spoke first about her work with developing and changing wheats and grasses to make them more nutritious. 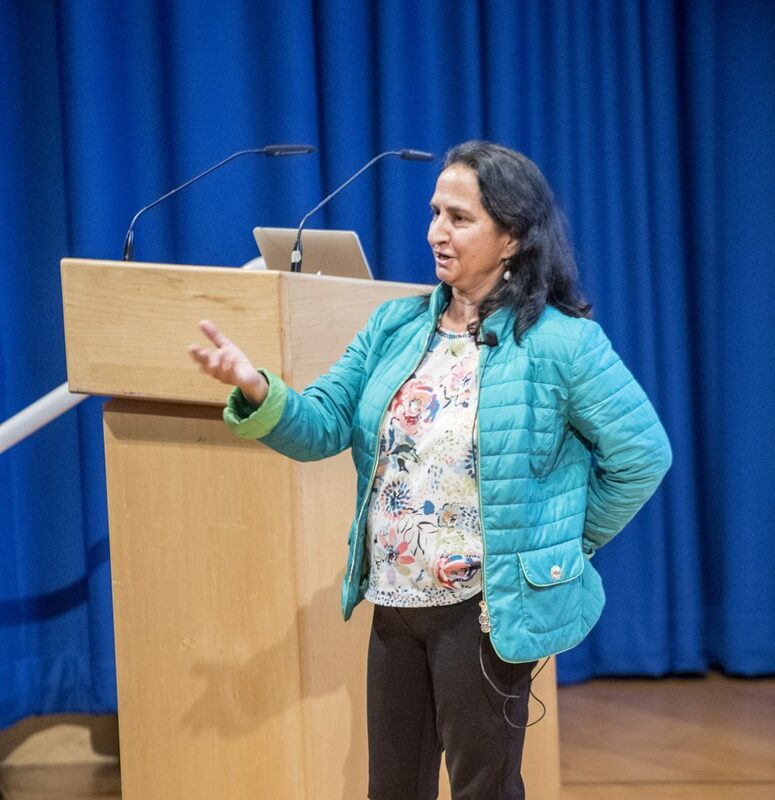 Then Dr Manjit Dosanjh, who works in cancer research, talked about some of the equipment she uses day to day and how she became interested in science. 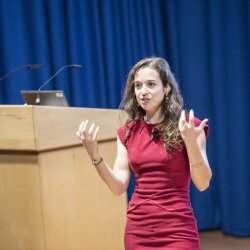 Finally Dr Emily Grossman gave her talk; “Too Sensitive for STEMM?”. 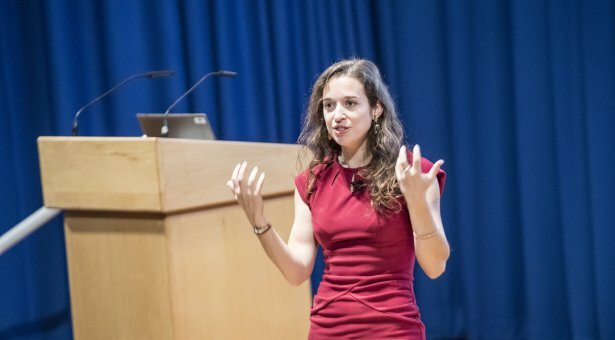 Dr Grossman’s talk was quite different to the others, she talked about balancing her love for acting and science and explained how she believes there is no such thing as too sensitive for STEMM, and that the stereotype for a scientist being an old man who is focused and cold is wrong. 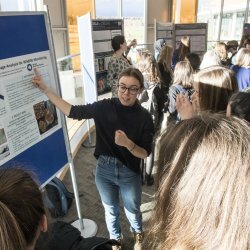 Next we split into groups and took part in four different sessions; a Q&A session with Dr Emily Grossman, a poster session with PhD students, a ‘Heroines of Science’ presentation and an opportunity to meet STEM employers and talk about their jobs and opportunities. 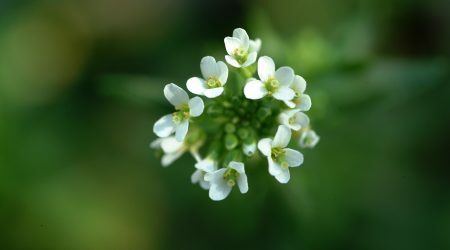 The session I found most useful was being able to talk to the PhD students, being able to talk to them about their research projects has made me very interested in plant biology and the genetic engineering of plants. I now feel like I have a better idea of what I would like my future career to be and how to get there. 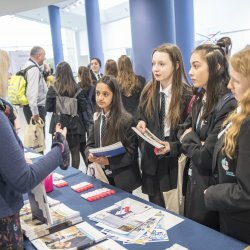 After lunch we had another session to meet the employers before going and meeting lots of women role models in different areas of science. Being able to speak to scientists in small groups was interesting and allowed us to learn more about their individual jobs and projects. The day finished with a science chat on the sofa, the questions we had been able to write down on post it notes throughout the day were answered before the day was wrapped up and we came back home. 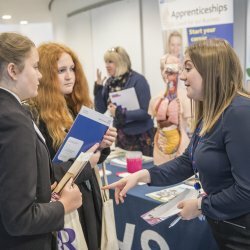 I found the day really helpful as before the Women of the Future day I had been struggling to decide on what job area I would like to go into. However now I have a much clearer idea. I enjoyed the day and all the interactive experiences like the VR headset and building a bridge, I hope the day will happen again in the future so others can have the same experiences. 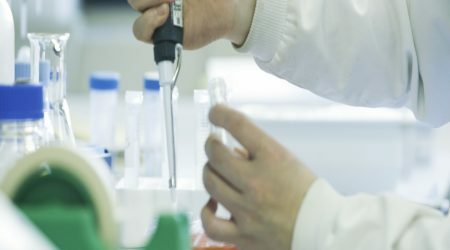 In October, we became the first UK institution to achieve the Athena SWAN Gold Award; an achievement that reflects an ongoing commitment to becoming a workplace where everyone is treated with fairness, dignity and respect. 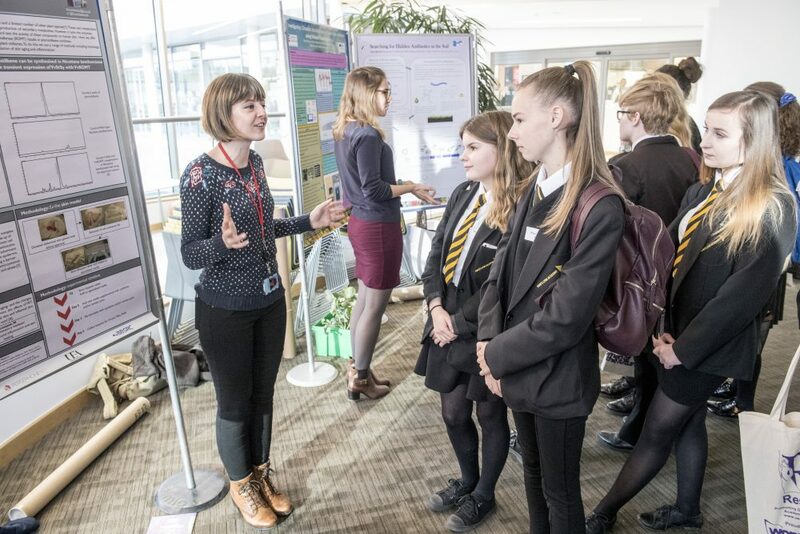 John Innes Centre Youth Aspiration Champion, Samantha Fox said, “At the John Innes Centre we are absolutely committed to providing the best working environment for all our staff and that absolutely includes reaching out to young people to encourage more young girls to consider a career in STEMM”. 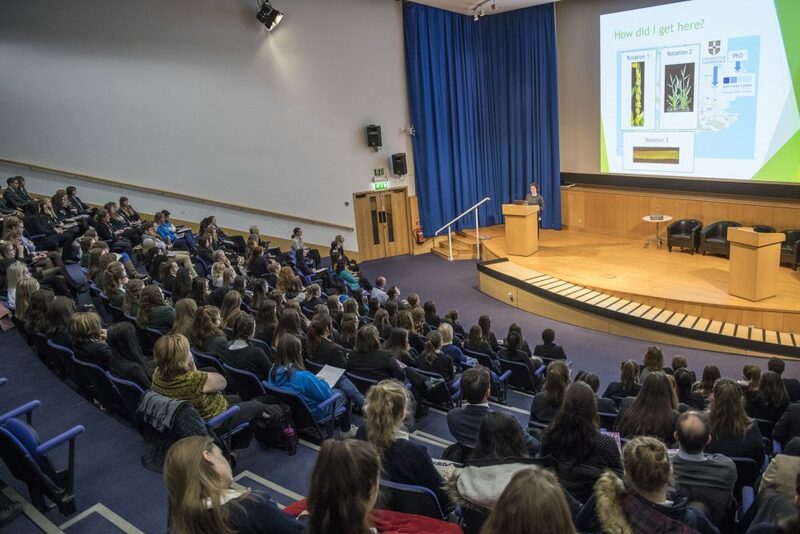 The Women of the Future conference is supported by the John Innes Centre, BBSRC, Intel, Carter, University of East Anglia, John Innes Foundation, Norwich Research Park and ResNet. 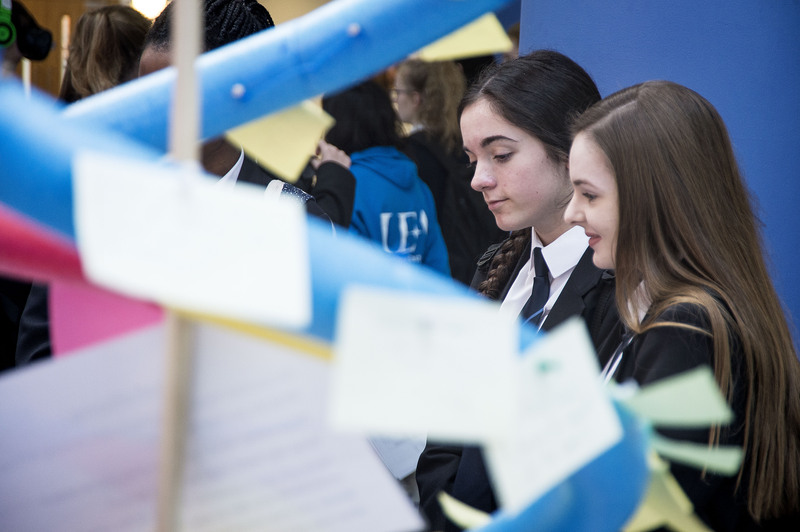 There was a feedback wall where the girls could leave comments, questions or thoughts on what they had seen or heard. 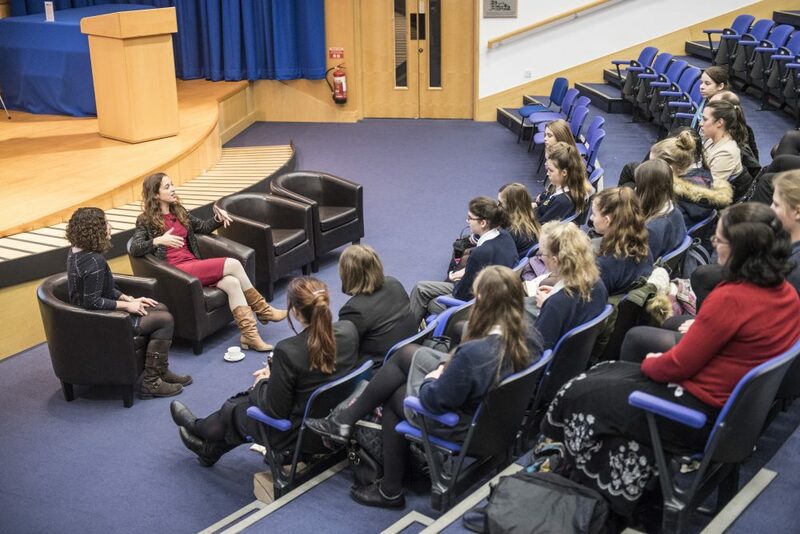 Dr Emily Grossman and Samantha Fox led a Q&A session for smaller groups of students.  An opportunity to meet PhD students and STEMM professionals. 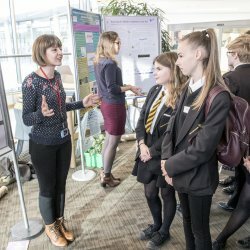 Stem professsionals from a range of careers showcased their industry. 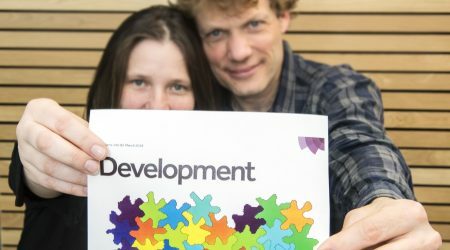 The GEN programme held a mini, discussion-led conference, to bring everyone working in the ISP together. It’s one of the major challenges of biology: how to accurately quantify the mass of swarming, shifting shapes that make up the matter of life.